Check out the party characters here below. Serving all the local area, the amazing entertainers will bring life to your kids birthday party. Rent characters for your kids birthday party. Superbowl pre-game entertainment is this weekend or celebrate for a half-time show. Have you kids? If yes, you can understand that what is the actual happiness? Only happy face of your kid gives you the internal satisfaction and happiness. Every parent does best of their best for their children. They want to make every day memorable with their children. Every parent is dame excited about the birth day of their kids. To make them feel good, parents are always ready to spend more and more on their birthdays. If you are also caring and loving parents, make your kid’s birthday memorable. There are various ways to celebrate their birthdays, but we have collected some unique and top-class places to celebrate the special day memorably. If you are looking for the best places to celebrate the birthday of you kid, then we recommend you visit Miami Florida. Miami Florida is the best place in U.S.A for celebration of parties, functions, honeymoons and other trips. But our focus is children. We make your children to enjoy and feel best. 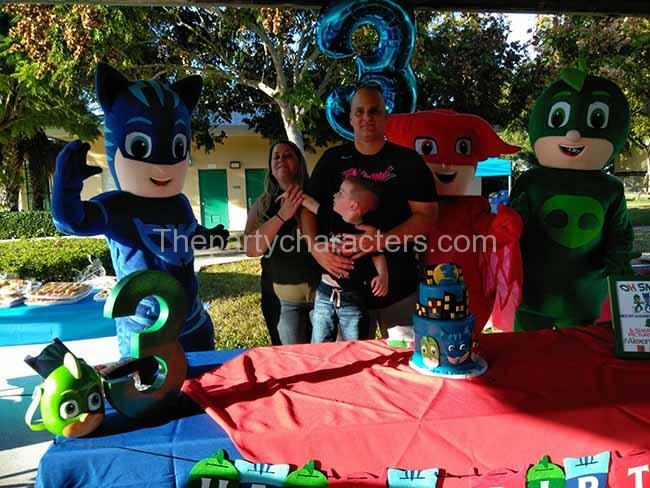 If your kid’s birthday is coming and you are worrying to choose the place for celebrating the day, we recommend you the best places in Miami Florida. Mostly, all people celebrate the birthday of their kids at home while collecting ten or twenty friends. they do party, have pizza & cake and do other activities. Mothers must do a lot of work after finishing the party. The guest and children may or may not be noble. They can make the home dirty. To feel your home lady, relax, arrange the party outside. Also, don’t be a common parent, just do something special for your children. We have mentioned some best places in Miami Florida to enjoy the birthday of your son or daughter. These places and parks are best for the children of ages between 1 to 7 years. In Miami Florida, Jungle Island is the very popular place to celebrate the day of your kid. This Island gives entrance to the thirty people in group minimum. Here you will be offered meal, area for playing, admission to Jungle Island, a group photograph and other shows. You can enjoy throughout the day if you have your passes. Trip with friends of your baby can be your educational trip if you go to science museum with them. Here minimum group of 20 people can enjoy. Here you will enjoy a science demonstration area, private party room, admission to museum and gifts for a birthday child. You can also go to the Seaquarium to celebrate your day with children. Here group entrance is for fifteen to thirty people is possible. You will be provided timely meal, birthday cake, admission to park, a t-shirt and a return admission ticket to each child. Twenty people in one group can enter in this museum. In this museum, you will get private room for their party and add theme to the party to enjoy more. You will get a lot of unique experiences here. You can also buy a birthday package for enjoyment. This package costs $ 490 for the 20 children. In this package, you will get admission in zoo, meals, birthday cake and special return gift to every child. You can also choose animal encounter, tram tour and visit from Diego. Extra charges will be applied for it. There are many parks in Miami Florida to enjoy. You can collect the group and go there for the party. You can do setting according to you. open area for party is always good and natural. The Kendall Ice Arena is also a good place to enjoy in an affordable price. In this Arena, you will get admission, skates on rental, timely meal and a t-shirt for the birthday child. For ice skating, you can hire a coach on some charges and learn how to skate? Little farm is a zoo in Southern Miami which offers three hours party for up to thirty students. You and your children can enjoy petting farm, playing area with butterfly garden and pony rides. You can enjoy roller skating parties. 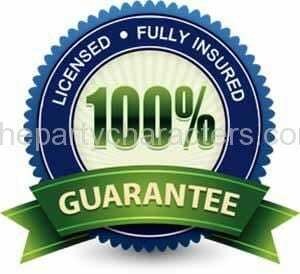 you will get admission, skates on rental, timely meal and a live DJ. Food is available on some charges. This is also a good place to enjoy for the children, but only negative point is there is that there is no food point there. You can get photos and party gifts there. Above are some genuine places where you can celebrate your child birthday. Also, to add more fun you can bring Miami Party characters to the party. You children can enjoy their fun activities and in party. These characters are based on the story books that your children read often, and they can enjoy these characters well. Characters like Paw Patrol characters, Elmo, Mickey Mouse, PJ Mask Cat Boy and Gekko , Troll characters Poppy and Branch , Pokemon , Star Wars characters especially like ( Darth Vader, Storm Trooper, Jedi, Kyloren , Rey , Chewbacca can entertain your children well. How Miami Party characters enjoys the group? Following are some activities that characters can do to entertain your child and other friends. Interactive story time: the Miami party characters can gather the students and children in a very interesting way to tells them various stories about kings, queens and fairy tales. This will become the most memorable part of the party. Games: Most of the children like to play games. To make feel of interest you can hire an expert game organizer for two or three hours to you your party. Games including duck-duck goose, musical chairs, freeze dance and many more can be a part of your children. Photo shooting: Characters in party can shoot your pictures well. They have their own cameras and you can give them to click every moment of the party. Cake cutting and songs: Characters are available at the cake cutting time to add more fun. During cake cutting, presence of well-dressed characters makes the party more excitable and interesting. They are for you to entertain your child with their songs and dances. You can also dance with them. This character is a real hero with strong shield and gold-heart. He defends his team and friends from enemies. Celebrate the power of Captain America Parody Party character with your children. He defends justice all over the world. His main target is to put his all intelligence, strength and wealth to remove the crime from the world. He uses his mind and body to finish those who diminish the peace. The very important character Spiderman is a smooth-swinging and web-flinging super hero who uses his mind and powers to find the danger and defend the innocent people. The heroism of the Superhero is attracted by the small children. The Power Ranger Parody party characters are a group of crime-fighters and superhero. They use their powers of brain, muscles and martial art to remove all bad things from the world. The teamwork between them tells the children to work in a team and win. There are a lot of themes that you can chose for their sons and daughters. Princess and superhero characters are enjoyed by the children happily. If your kid’s birthday is coming so give a best treat to them. Enjoy with them and make the precious day memorable.